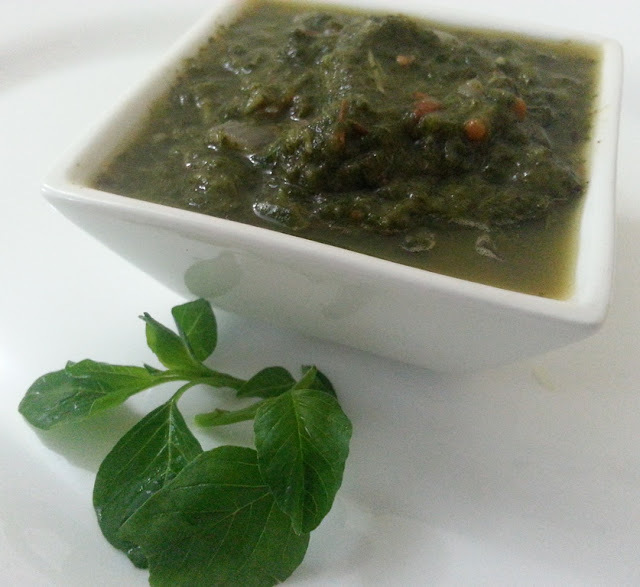 This is a tasty green consumed extensively in Tamil Nadu and Kerala. Recipes made of this green are very tasty as well as healthy. It cools and energises the body. The more mature greens of this family is the ‘thandu keerai’. 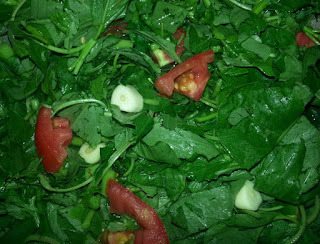 A very good blood cleanser, this green is also strengthens the heart. It loosens stools and helps treat painful and difficult urination due to increase in body heat. Mulai Keerai is rich in calcium and can be consumed 2 to 3 times a week. 1. Clean and chop mulai keerai, garlic and tomato. 2. Boil half cup water in a pan add chopped mulai keerai,garlic and tomato and cook until keerai is cooked.cook the Toor dal in cooker. 3. In between chop the small onion. 5. In the same oil temper mustard, urad dal, cumin seeds and add chopped onion﻿ saute until translucent. 6. Take a mixer or blender add the cooked keerai, cooked Toor dal, required salt and red chill and grind it smoothly. 7. Add the tempering to it. 8. Serve with sambar or kara kulambu as side dish. It taste divinely when you mix with plain rice with ghee. Note: You can add tamarind if u want more sour taste. After grinding the keerai mixture add the tempering and grind it once gives nice aroma to keerai masiyal. My mom use the keerai satti (keerai pot) for grinding it tastes divinely than we grind in mixer grinder. Veg Fried Rice | Chinese Fried Rice.